Hi! This time I'm giving you the latest outfit post of mine, few days back. And the reason I'm sharing it with you is because I'm suggesting you to #savethemoney! Wonder why? Guess what, I got this turtleneck top only for IDR 35k! Found this classic piece in a vintage store, and it was love at first sight, because first, it has turtleneck (my fave!). 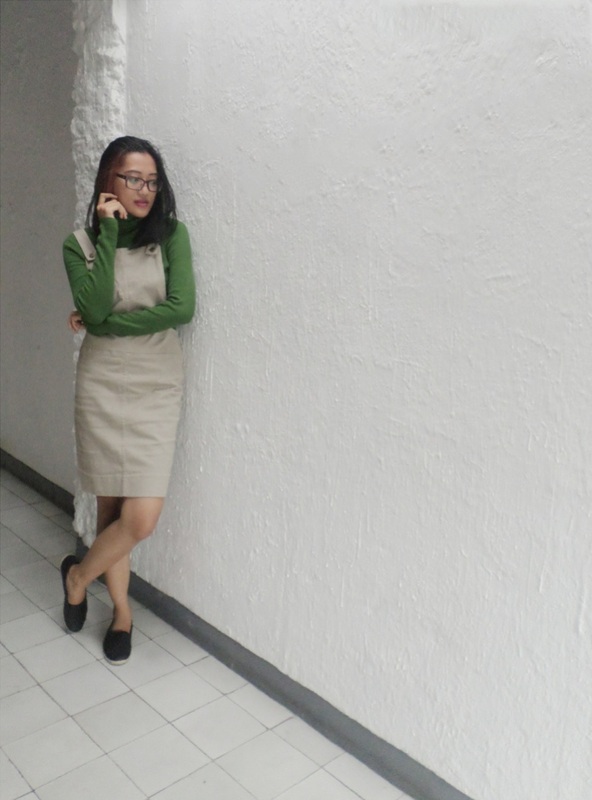 And second, it is in green, which is not really my color (I admit it, it is my first time wearing green. I mean, those rare days I'm wearing green!). 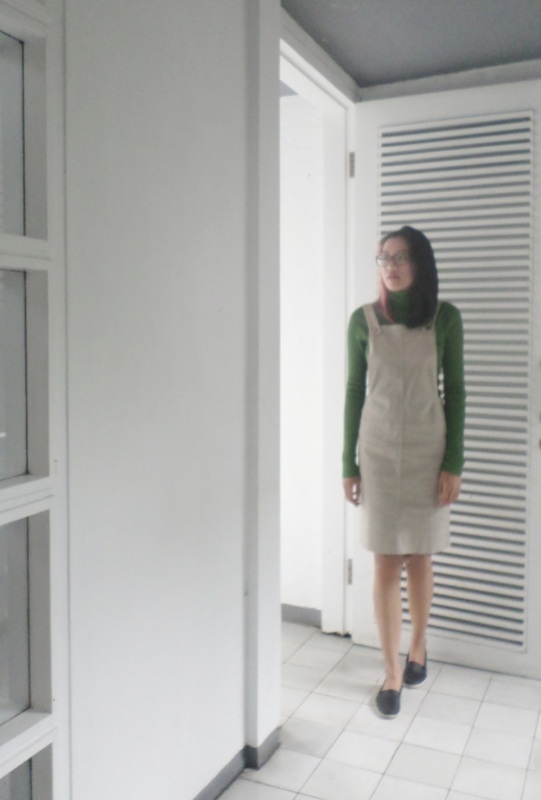 This time I'm pairing it with my recently favourite one-piece overall skirt! 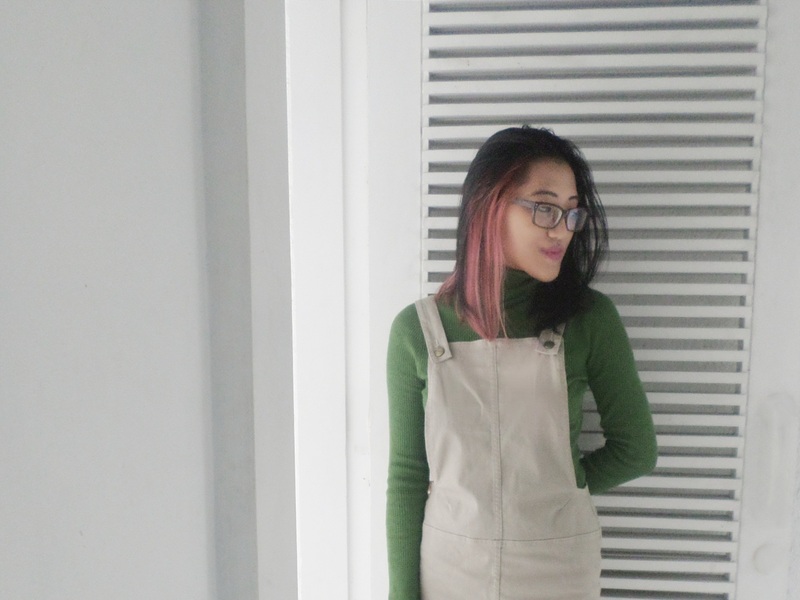 Loving how this overall have versatile looks, and looks good with everything.